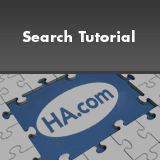 *Heritage Auctions strives to provide as much information as possible but encourages in-person inspection by bidders. Statements regarding the condition of objects are only for general guidance and should not be relied upon as complete statements of fact, and do not constitute a representation, warranty or assumption of liability by Heritage. Some condition issues may not be noted in the condition report but are apparent in the provided photos which are considered part of the condition report. Please note that we do not de-frame lots estimated at $1,000 or less and may not be able to provide additional details for lots valued under $500. All lots are sold "AS IS" under the Terms & Conditions of Auction. 25% on the first $250,000 (minimum $19), plus 20% of any amount between $250,000 and $2,500,000, plus 12% of any amount over $2,500,000 per lot. 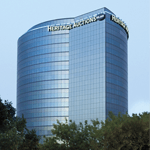 Consign to the 2019 October 15 Illustration Art Signature Auction - Dallas. I look forward to several future consignments with Heritage and with your continued guidance and expertise. 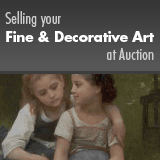 What are my Art & Antiques Worth?